Dan Chen has 24 years’ experience in counselling clients on Chinese trademark law, anti-unfair competition law and copyright law. She has helped many businesses in the fields of trademark registration, disputes, licensing and transfer, infringement investigation, administrative enforcement and litigation. Her clients, ranging from Fortune 500 companies to start-ups, benefit from her in-depth knowledge and responsive services in preventing risks and resolving disputes in IP fields, as well as portfolio management. 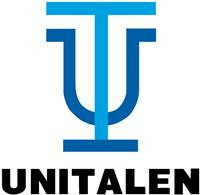 As a senior partner of Unitalen Attorneys at Law, Ms Chen has been invited to lecture at many regional and international conferences and workshops, including the European Communities Trademark Association (ECTA) annual conference, the American Bar Association (ABA) spring conference, the USPTO China IP Roadshows and the McCarthy Institute of the University of San Francisco. She was also the first Chinese lawyer to serve on the ECTA anti-counterfeiting committee and provided annual report input on the status of Chinese intellectual property to the association. She is a member of various IP associations, including INTA, the International Association for the Protection of Intellectual Property, the American Intellectual Property Law Association and the ABA. 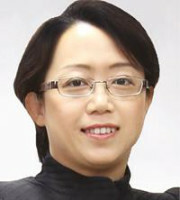 Ms Chen chairs Unitalen’s liaison office in San Francisco. Making use of her physical presence in the US market, she has successfully upgraded the firm’s consulting services provided to US clients in a real-time manner. With her personal experience of both US and Chinese culture, Ms Chen has established unique communication skills and is recognised by her US clients as exceptionally understanding, clear, creatively minded and trustworthy.